Kiwi’s commercial carpet cleaning services seeks to help you and your building establish clean carpets standards that ensure a better looking building that is clean and healthy for your employees, clients, and visitors. Clean carpets give your business the professional and welcoming feel that will make your employees work productively, and make your clients and visitors feel comforted using your business. Clean carpets also fight against allergens and dust and promote a healthier environment. 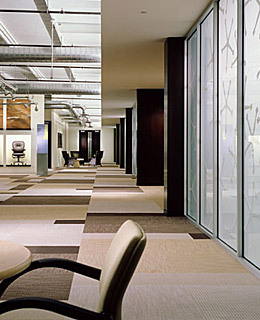 Kiwi’s commercial carpet cleaning services provides this and much more for your business. Kiwi’s commercial carpet cleaning technicians are fully licensed, bonded, and insured. Our cleaning techniques are certified by the Carpet and Rug Institute. It is financially wise and more effective to use our professional commercial carpet cleaning services than an in-house maintenance cleaning crew for your commercial carpet cleaning needs. KIWI uses a green carpet cleaner that is environmentally-friendly and non-toxic that eliminates all spills, stains, and odors while leaving your building’s carpet looking and feeling great. Our carpet cleaning solution always leaves your carpets with a fresh, citrusy smell with a quick dry-time. Kiwi’s commercial carpet cleaning services are backed by a 30-day clean guarantee to ensure your happiness. If you are looking to revamp your business’ carpet life, then give KIWI a call today to schedule an appointment for our commercial carpet cleaning. We will work with all insurances to ensure economical services.